The CA3140A and CA3140 are integrated circuit operational amplifiers that combine the advantages of high voltage PMOS transistors with high voltage bipolar transistors on a single monolithic chip. The CA3140A and CA3140 BiMOS operational amplifiers feature gate protected MOSFET (PMOS) transistors in the input circuit to provide very high input impedance, very low input current, and high speed performance. The CA3140A and CA3140 operate at supply voltage from 4V to 36V (either single or dual supply). These operational amplifiers are internally phase compensated to achieve stable operation in unity gain follower operation, and additionally, have access terminal for a supplementary external capacitor if additional frequency roll-off is desired. Terminals are also provided for use in applications requiring input offset voltage nulling. The use of PMOS field effect transistors in the input stage results in common mode input voltage capability down to 0.5V below the negative supply terminal, an important attribute for single supply applications. The output stage uses bipolar transistors and includes built-in protection against damage from load terminal short circuiting to either supply rail or to ground. 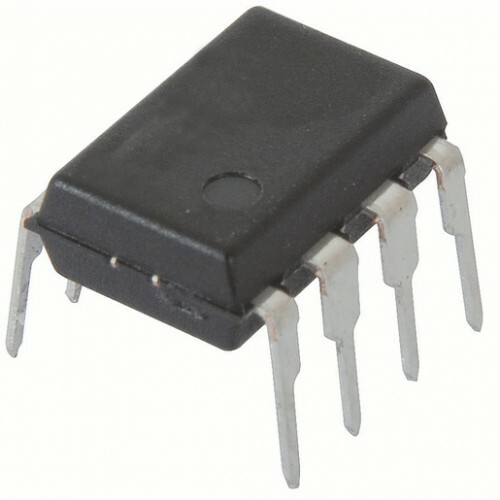 The CA3140 Series has the same 8-lead pinout used for the “741” and other industry standard op amps. The CA3140A and CA3140 are intended for operation at supply voltages up to 36V (±18V). 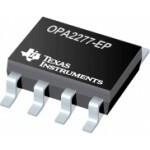 OP37G High Speed Op-AmpThe OP37 provides the same high performance as the OP27, but the design is op..
OPA2277 High Precision Op-AmpThe OPA2277 is precision operational amplifier it replaces the ind..